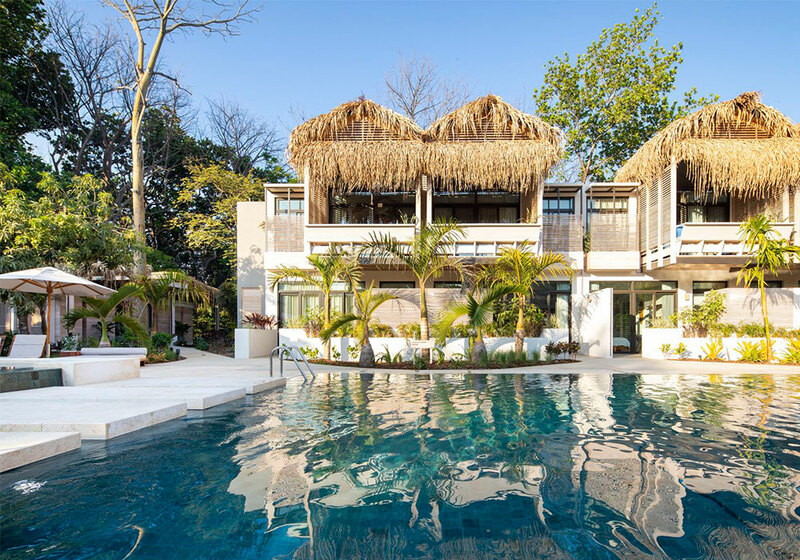 Gilded Iguana Surf Hotel - The original surfing spot in Nosara! 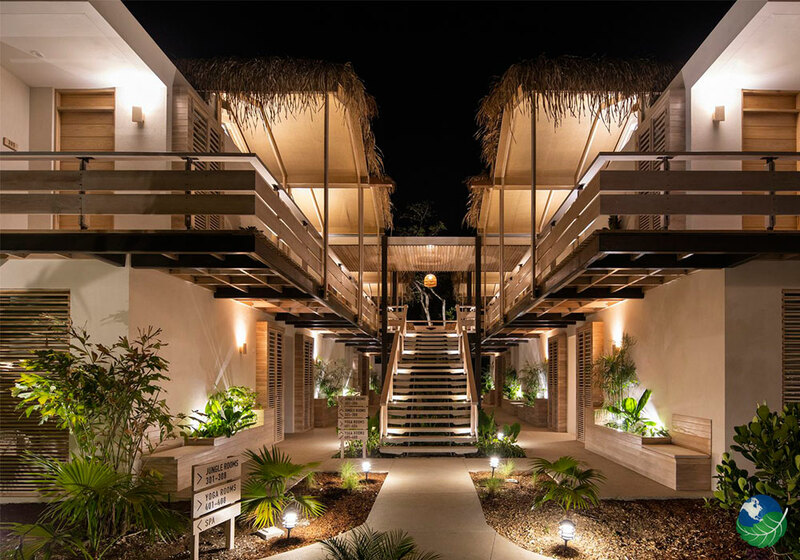 The perfect accommodation for your next surf trip! The Gilded Iguana has been the go to accommodation for surfers for decades. Surfers, yoga lovers, and adventure travelers come here from all over the world to enjoy a day at one of the regions most famous beaches the Playa Guiones. They stay to experience the most consistent surf breaks in the world, a relaxing yoga retreat, and adventurous mountain biking. The charming community and tourism in Nosara has a lot to recommend it, but is mainly celebrated as the perfect destination for surfers and yoga enthusiasts. 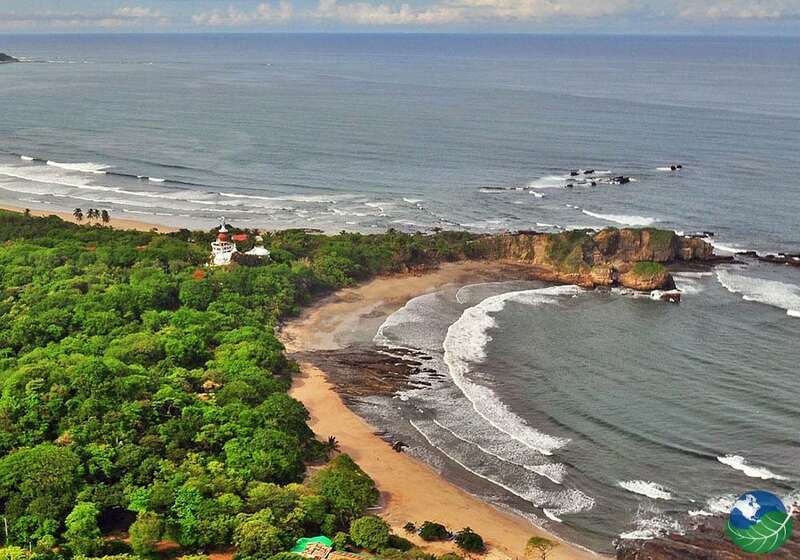 Nosa is part of the Nicoya Peninsula which has been named one of the Blue Zones of the world. This means that an active life and good food as well as the clean, ocean air contributes to a long and healthy life. This means that in Nosara you won’t find high-rise condos, fast-food restaurants, or beach bars. A stay at The Gilded Iguana offers balance to the busy lives of all who come to unwind in natural surroundings. 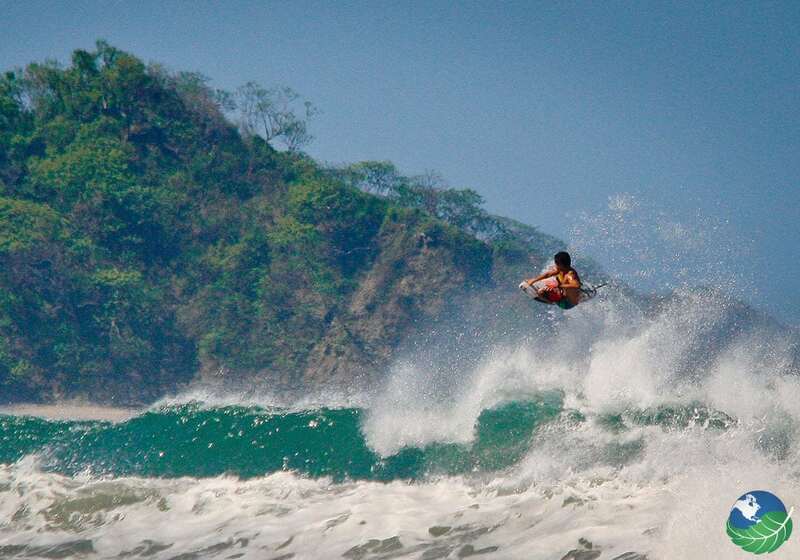 Playa Guiones prides itself with consistent waves for surfers of all experience levels all year around. In addition to riding the waves and mastering the art of yoga, you can also stay at The Gilded Iguana for more adventure or family fun with the great mountain biking routes in the area! The Gilded Iguana has room for you and your surfboard. 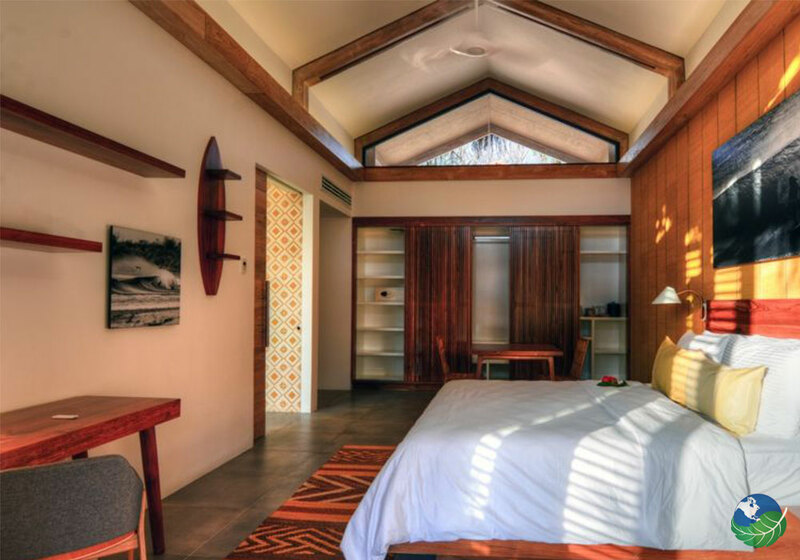 After check-in you will receive two keys: one to your room and another to your surf locker. 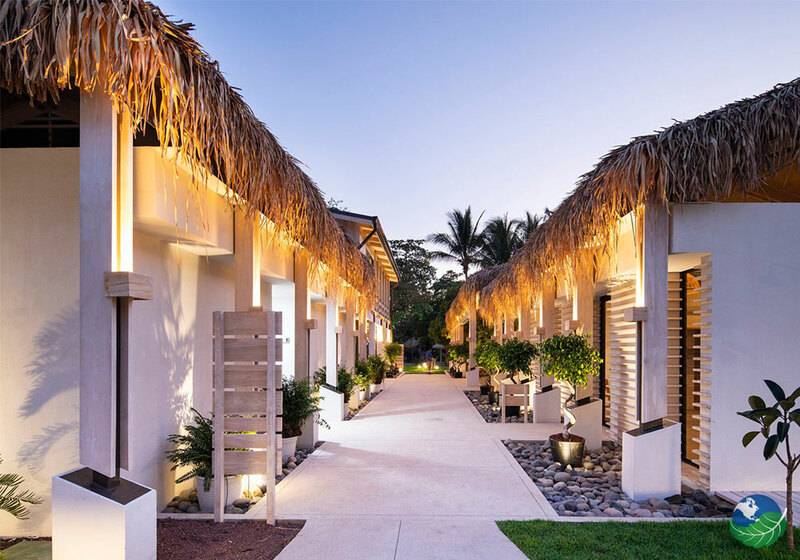 This one-of-a-kind hotel has been carefully designed by the architect Benjamin Saxe and the interior design firm Sofa Ineriorismo. All the rooms feature tasteful craftsmanship, indoor and outdoor showers, and an outdoor living space, giving you every opportunity to connect with the wildlife refuge that surrounds. The Gilded Iguana proudly claims many firsts: the first structure built in Nosara, the first telephone in town, and first live music venue. A couple of things have changed since The Gilded Iguana took on its current form as a hotel, restaurant, and town meeting place in 1988. The edge and new design has turned the hotel into a modern representative of its brand and blends in nicely with the current trends of health, sustainability and mindfulness mixed with an insatiable taste for adventure! Ready for your next surfing adventure?